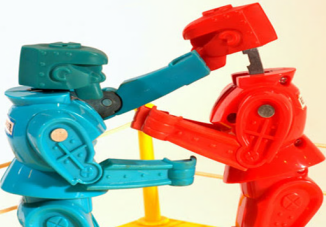 Sales Versus Marketing – What’s the Real Conflict? As many colleagues and sales people I have trained will attest, there is nothing more important than the sales and marketing dialogue your firm has with the marketplace. I believe a challenge presented to most businesses is the integration of marketing content and sales dialogue, as described below in my latest guest post for CMSExpo. On May 15, I will be presenting a new approach to integrating sales and marketing messages which was created out of client experiences over the past year with 99 Questions. My article provides an overview of the issues and a high level overview of the 99 Questions Methodology. I hope to see you at CMSExpo on May 15! Author Terry WalshPosted on April 29, 2013 May 23, 2013 Categories Sales, Sales Management, Sales OperationsTags 99 Questions, CMSexpo, communication, customer marketing, harvard business review, managing sales, marketing channels, Messaging Strategy, sales best practices, sales performance, sales processLeave a comment on Sales Versus Marketing – What’s the Real Conflict?